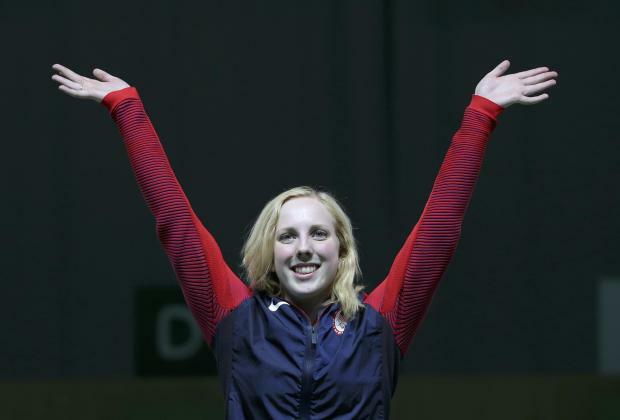 American teenager Virginia Thrasher won the first gold medal of the Rio 2016 Olympic Games today, holding her nerve against two Chinese Olympic champions to clinch the women's 10m air rifle event. Thrasher was awarded the first gold of the Games by International Olympic Committee (IOC) President Thomas Bach. Competing in her first Olympics, Thrasher established an early lead after battling with the Russian shooter Daria Vdovina, who stumbled midway through the competition and finished fifth.